Breast Feeding Shawl. Condition is Used. Dispatched with Royal Mail 2nd Class. Our Junior Joy 100% Cotton Cellular Blanket is breathable which is perfect for keeping your baby warm. They are also available in three different sizes for your Pram, Cot and Cot Bed. Size: Pram (75 x 100 cm). Baby Nursing Scarf Cover Up Apron for Mum Breastfeeding Cover. Condition is Used, but like new. I loved using this cover, light weight and easy to use, I hope it can find a good home. Dispatched with Royal Mail 2nd Class. 1PC Breastfeeding Nursing Cover. Color: Grey Tartan. Size: 70cm x 100cm. When The Weather Is Not As Cold Blanket Over Her Baby. You Can Give Your Baby Diapers As A Cushion. Block The Wind And Sun. Go Out, Let The Baby Sat On It When The Mat, Not Afraid Of Dirty Baby Or Small Insects Climb Baby. Our Junior Joy 100% Cotton Cellular Blanket is breathable which is perfect for keeping your baby warm. They are also available in three different sizes for your Pram, Cot and Cot Bed. Size: Cot (100 x 150 cm). Skip Hop Breastfeeding Cover, Scarf, Shawl. Dispatched with Royal Mail 2nd Class. Unused, as I didn’t breastfeed. Washed and back in box ready to use. RRP £19.99. Daisy Cover Up Breast Feeding Poncho. Has poppers down the sides to allow easy access. Rolls up to a nice small size to fit in a bag. Condition is in very good condition. Dispatched with Royal Mail 2nd Class. BebeChic.UK Breastfeeding Nursing Cover Soft Khaki Dot. Condition is Used. Dispatched with Royal Mail 2nd Class. Top Quality Oeko-Tex Certified 100%Cotton. Boning is 100% Polyester Excellent coverage and easy to look at your baby and adjust feeding positions discreetly. Excellent condition. Only used a few times. From a pet and smoke free home. NEW * Nursing & Maternity Shawl / Breastfeeding Cover * Soft Bamboo like Seraphine. Condition is New. Dispatched with Royal Mail 2nd Class. Bought and never used as unfortunately had to end my breast feeding journey :-( From a pet and smoke free home. Breastfeeding cover up and Vest in size small, white. Cover up is grey in colour with big white flower pattern. Wire in the middle makes a wide gap for baby's head when feeding so to allow for air flow and it ties around your neck with adjustable strap. It is Used but hardly at all so it's in excellent condition. White vest goes up to chest so you can wear normal tops and still lift it to feed and not reveal your midriff. Again in good condition. From a pet and smoke free home. See my other items for sale, feeding tops, dresses and baby boy clothes. Happy to combine postage. Dispatched with Royal Mail 2nd Class. 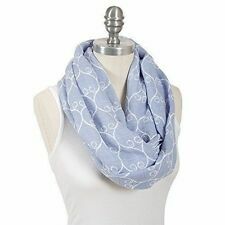 Mama Designs Mamascarf - Nursing and Breastfeeding Scarf - Lightweight 100% Cotton, Blue in Colour. The Mamascarf is designed to provide discretion for any mother breastfeeding in public without the need for wearing specialist clothing. nursing cover up - Bebe Au Lait. Condition new in box. RRP £34 from Jo Jo Maman Bebe. Seraphine Breastfeeding Shawl . Condition is Used. Dispatched with Royal Mail 2nd Class. Customise your baby's bottle with your choice of colour (colours and design NOT limited to the photographs). Customise your baby's bottle with your choice of colour (colours and design NOT limited to the photographs). Hey Guys! These bottle covers are beautifully crocheted with love and care for your baby. HEY GUYS! Nursing cover in excellent condition - lightly used. Seraphine Reversible « Dottie » Nursing Shawl in grey and white, beautiful soft bamboo material and can be worn in several different ways. Only worn twice! Unfortunately one snag on the inside (pictured) but otherwise excellent condition. Mum Breastfeeding Cover Nursing Poncho Stripes Shawl Cover Up. New without tags. Dispatched with Royal Mail 2nd Class.